It was a late summer evening in Flint, Michigan, and already dark as Mom and I got in the car for a last minute trip to the store for diapers. It had been a long and exhausting day, and my emotions were extremely fragile. As Mom pulled out onto the very familiar road in front of Gram and Pop’s house, we began to talk about the day’s activities. Suddenly I couldn’t cope with the inevitable, and I began to sob. “But I don’t want her to die. What will we do without her? My children will never know my Gram.” My adored Gram was dying. She was losing her battle against cancer, and her life was quickly slipping away. My sense of loss was overwhelming. That August of 1975 I was a young mother, just 21 years old. I was delighted to have a darling baby daughter and anxious to show her off to my extended family. Unfortunately, this reunion had come as a result of very difficult circumstances. My Grandmother Pratt was dying of cancer. Knowing that her time was very short, Yvonne and I had taken our new babies – Matthew and Emily – for a visit. We had been to the hospital that day to introduce these newest descendants to their great-grandmother. She was very weak, but had been able to hold each of the babies for a short time. Although she was thrilled at meeting the youngest members of the family, it was probably more important to me for Gram to see my baby, than it was to her. 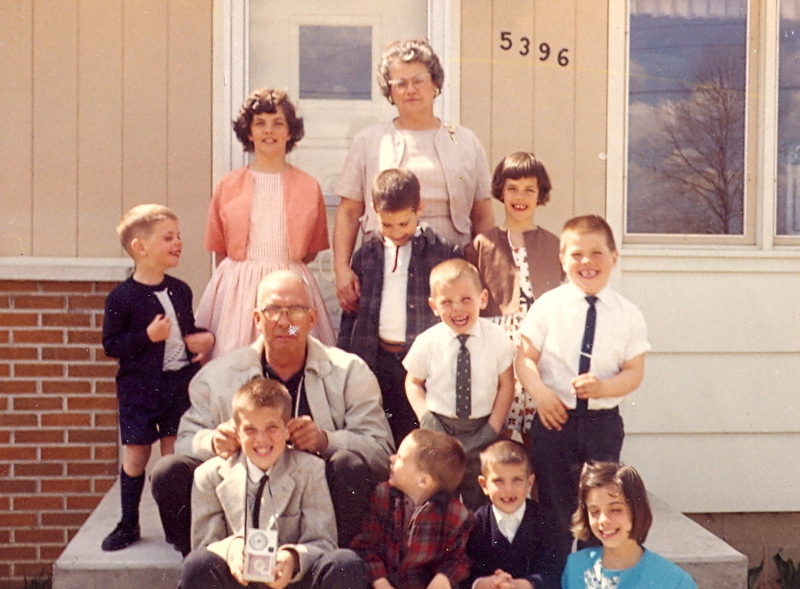 Gram had played a very important part in my life, and my growing up was full of wonderful memories of Gram and Poppie. Because Emily was only three months old, I hadn’t had time to emotionally put my mother in the grandmother role. The grandmother in our family was Gram, and I was devastated to think that my children were going to grow up without her. How would they have special grandparent memories? 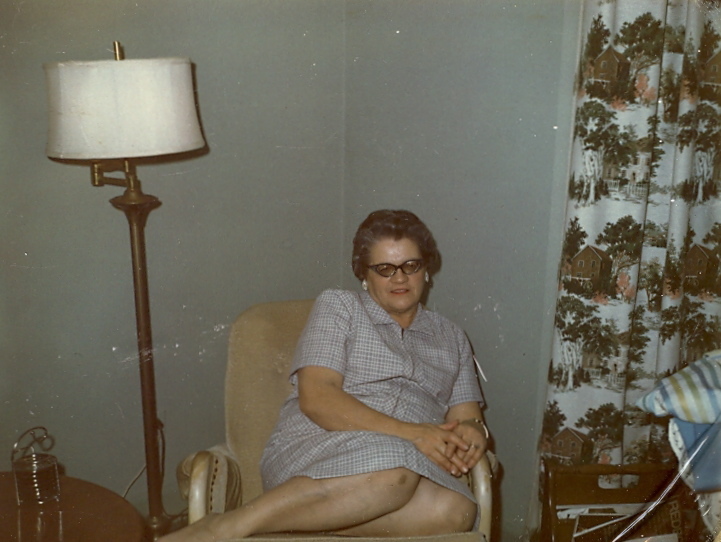 Gram died shortly after that trip to Michigan, and none of my children know her except through pictures and stories. But they haven’t missed out on grandparent time. 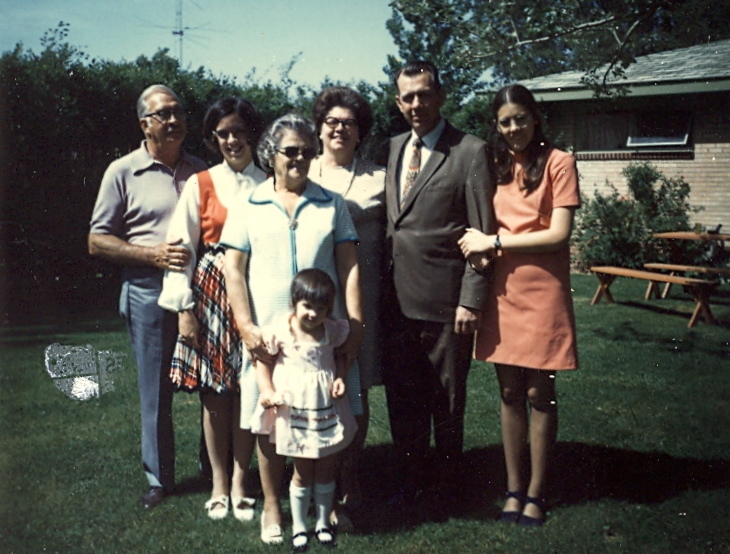 They know “Gram” as my mother, and their lives have been enriched by happy experiences with all of their grandparents. 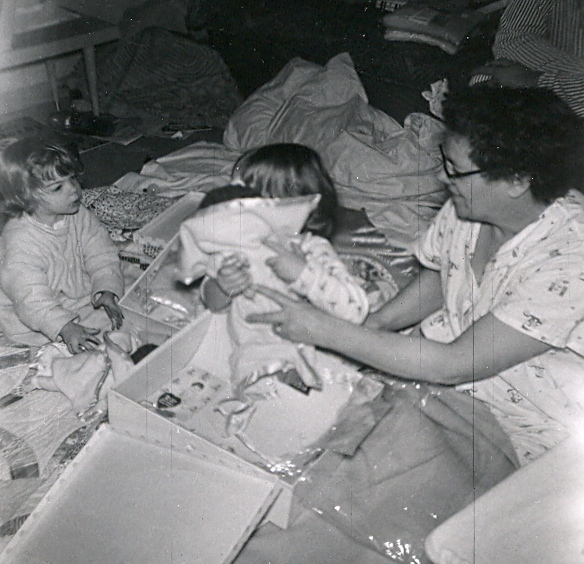 Now it’s my turn to create happy grandmother memories with the next generation – and I gladly accept! Thanks for all the wonderful memories, Gram. I hope that I can be the kind of grandmother you were. What a sweet tribute. I didn’t even realize that November 10 was Gram’s birthday. I certainly don’t have much memory of her either. Just a few snippits gathered in my 6 years before she died. She certainly left a wondeful legacy to our family though! Thanks for the memories and the continuing fashion show of your SWEET dresses from the 70’s. :0) You’ve always been a lookier! And just for the record, I think you are a terrific Gram! Your grandkids are just as lucky as you were. Tears are running down my face as I write this…….many memories came flooding back. I, too, was blessed by the wonderful times spent at Gram’s house and the time she spent in ours. My children, too, didn’t get to know her in this life, but I’m so grateful that I did! She always adored us, spoiled us, and loved us. I always knew that Gram accepted each of us and was proud of our lives. I hope she still is! I hope that I can extend that kind of love to my own grandchildren. Knowing how I feel about them helps me realize how Gram felt about us. Thanks, Lynn, for your exceptional family history skills! People are truly so much more than a name on a pedigree chart and you help bring them to life. But I wish I could read your postings without crying.